Jammu and Kashmir is a northernmost state of India. This is most beautiful natural place of India and world. Due to the natural beauty it is known as the heaven on the Earth and Switzerland of India. 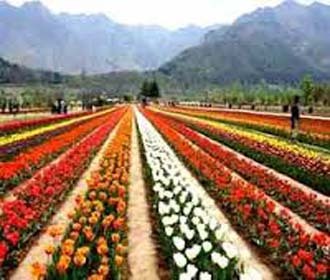 Winter capital of Kashmir is Jammu and summer is Srinagar. Kashmir is famous for temples, lakes, hills and pilgrimages. Vaishno Devi and Amarnath cave both famous pilgrimage located this state. Dal Lake is world famous lake in it. Kashmir is a hill station and best summer holiday, vacation and tour destination.